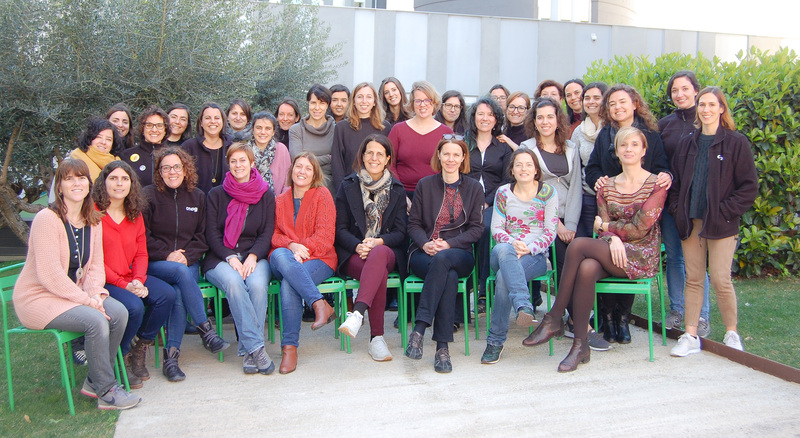 Barcelona, 8 March 2018.- The CNAG-CRG is marking International Women's Day 2018 with this photograph of most of the women working in the centre to visualize their active role in the institute. According to the World Economic Forum's 2017 Global Gender Gap Report the gender parity is over 200 years away - there has never been a more important time to keep motivated and to Press for Progress (#PressforProgress), as praises the theme of the 2018 International Women’s Day. Science is a critical and especially controversial field since women are represented in diminishing proportions as career levels progress and significant numbers of women leave science. At the CNAG-CRG we actively support and promote access and participation of women in science, education, training and research activities at all levels. Let’s keep on working together to achieve real equality!